Just Listed :: An Entertainer's Dream in Midtown! Welcome home to historic charm and modern day luxury! 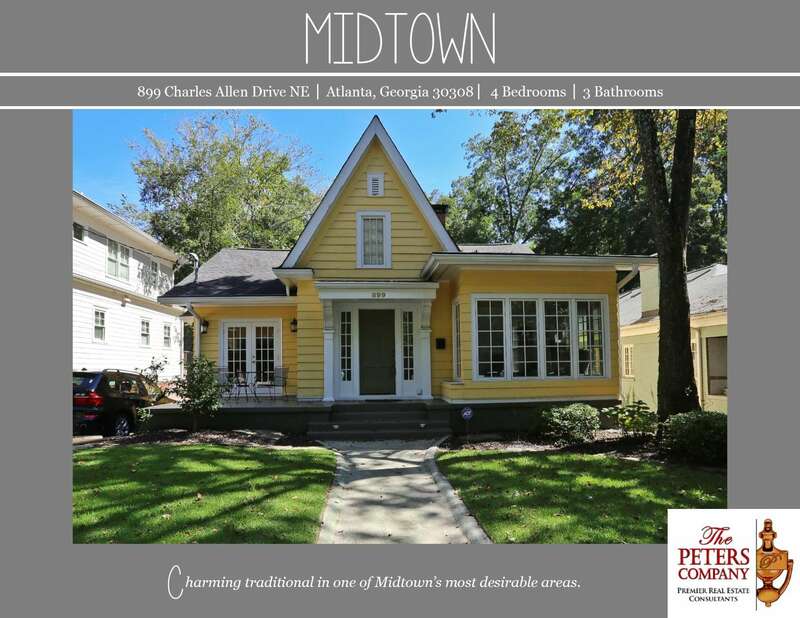 This wonderful home gives you an amazing intown Atlanta experience just a block from Piedmont Park. The wide open, renovated floor plan is just what you’re looking for. Easy access to Peachtree Street, I-75, and I-85 makes virtually all commutes a breeze. Convenient to all of Midtown’s finest attractions, you will be in the middle of it all including prestigious shopping, award-winning restaurants, and exciting nightlife. You’ll also be only minutes from the Beltline and the new Ponce City Market! · An updated kitchen features stainless steel appliances, granite countertops, and an oversized island. · Separate dining area is perfect for entertaining guests. · Living room is complete with an original period fireplace and tons of natural light. · Sunroom would be ideal as a home office or reading nook. · Gleaming hardwood floors, beautiful trim work, and tall ceilings are carried throughout the main level. · Master suite is a true retreat including a huge walk-in closet and renovated, spa-like master bathroom with a double vanity and walk-in shower. · Additional main level bedrooms is well sized and bright. · Basement boasts two bedrooms, a full bathroom, and additional living and entertaining space including a kitchenette with bar, wine fridge, dishwasher, and more. · The screened-in porch is great for outdoor enjoyment and overlooks the flat backyard with wonderful saltwater pool.